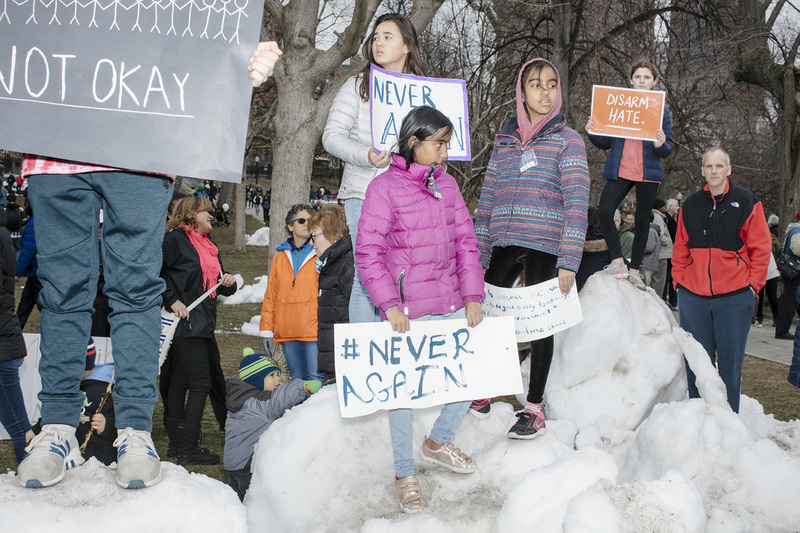 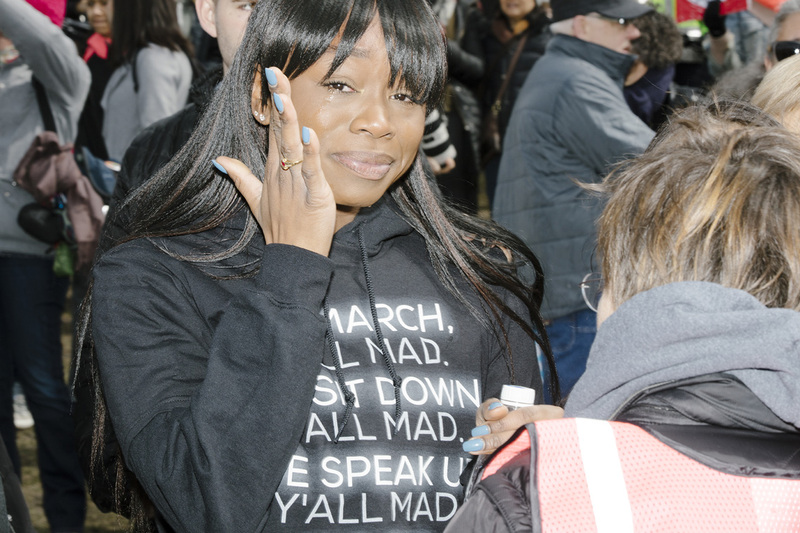 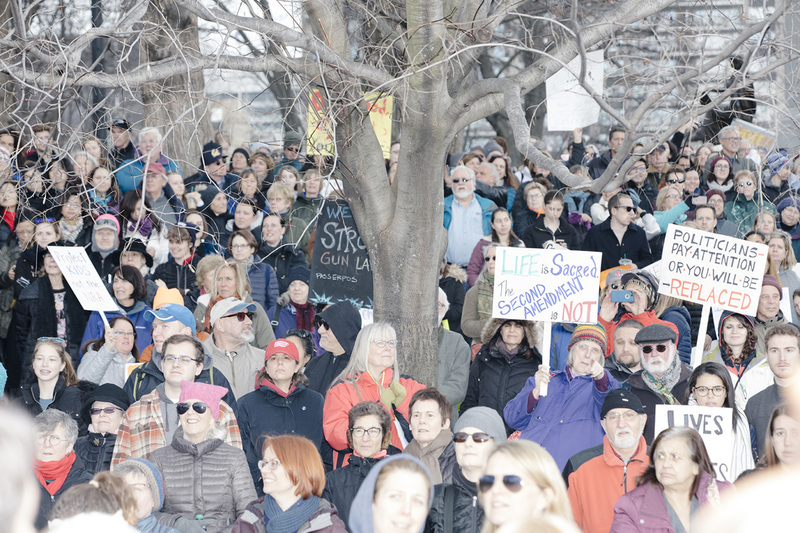 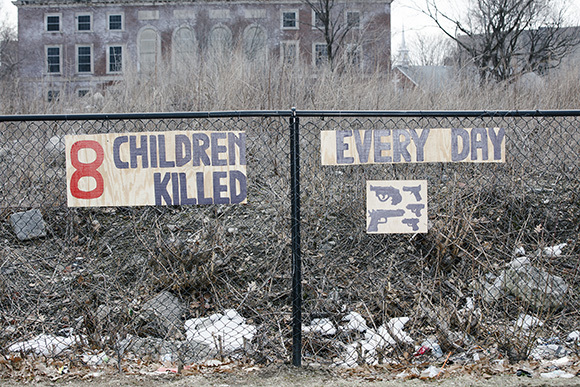 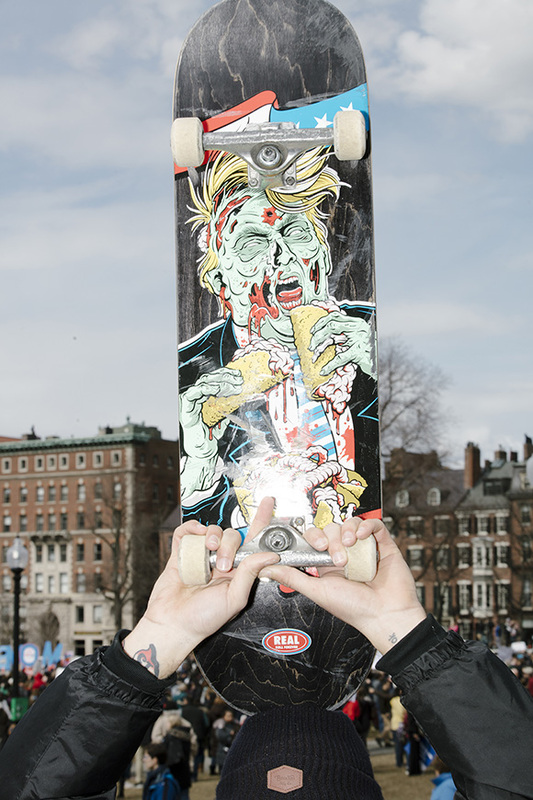 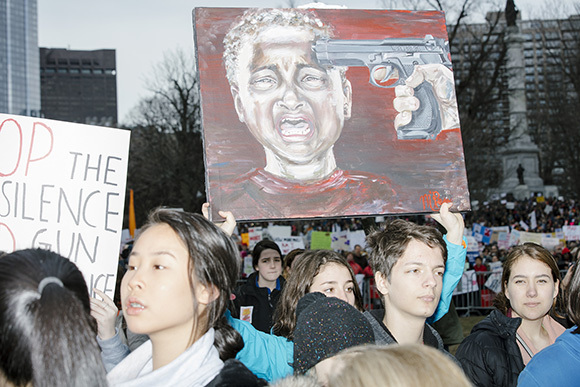 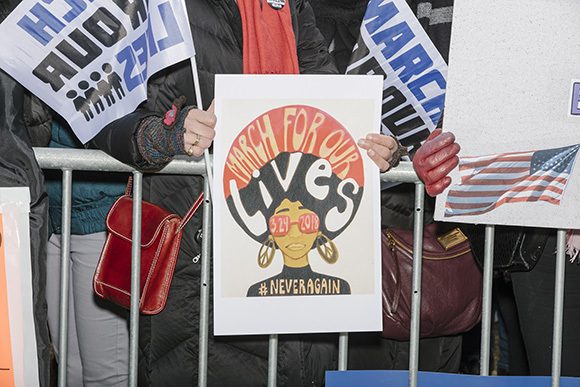 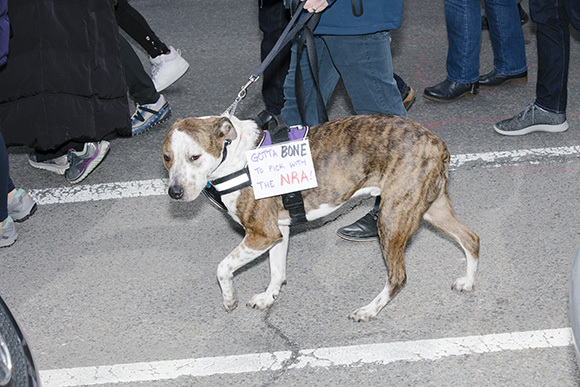 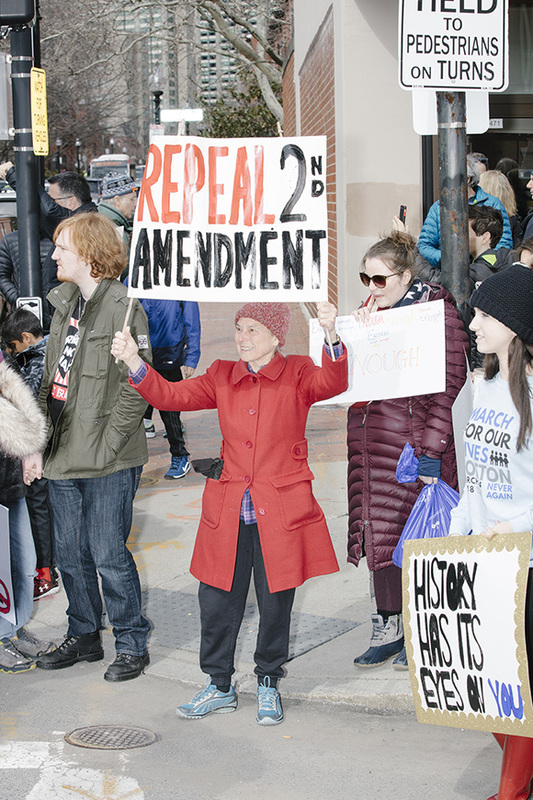 Thousands of people marched from Roxbury Crossing to Boston Common as part of the March For Our Lives protest and demonstration against gun violence on March 24, 2018. 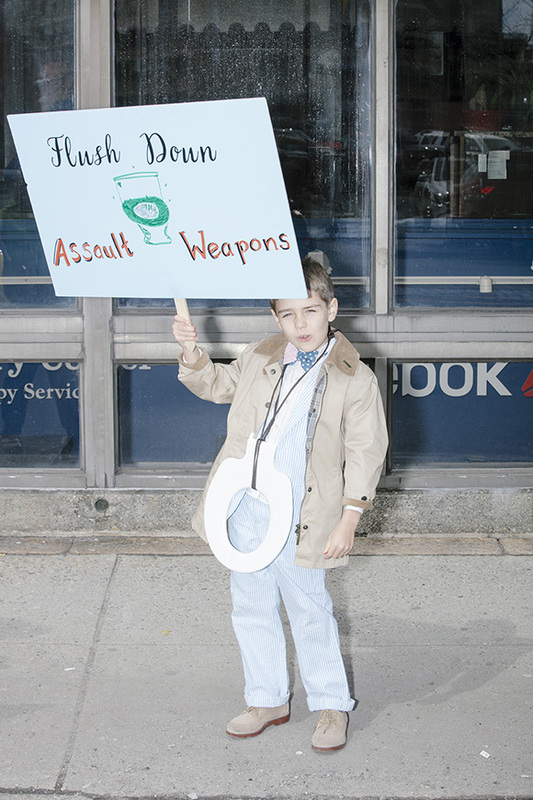 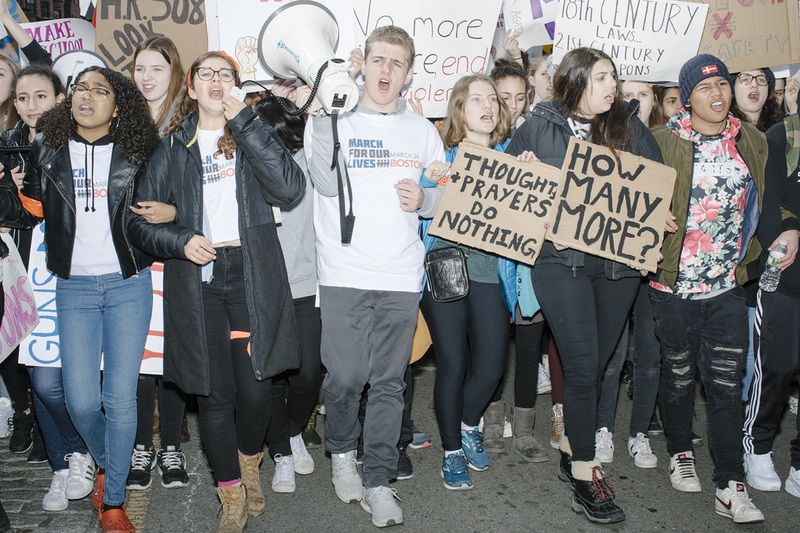 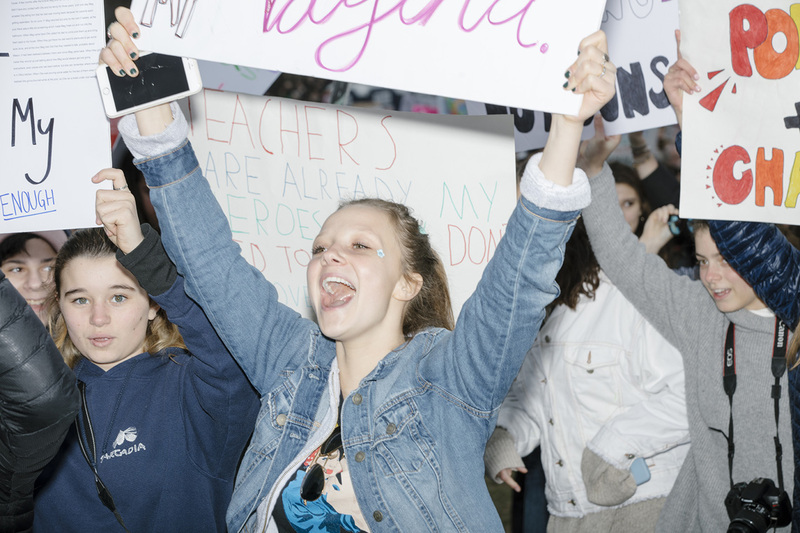 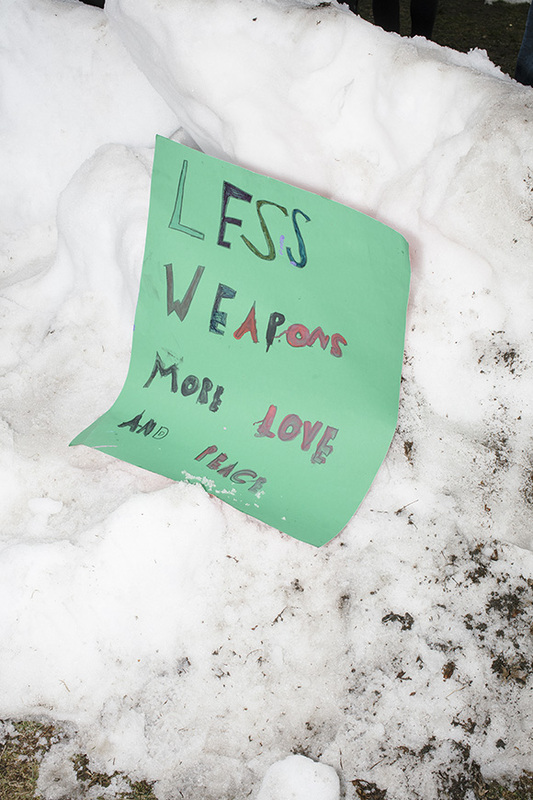 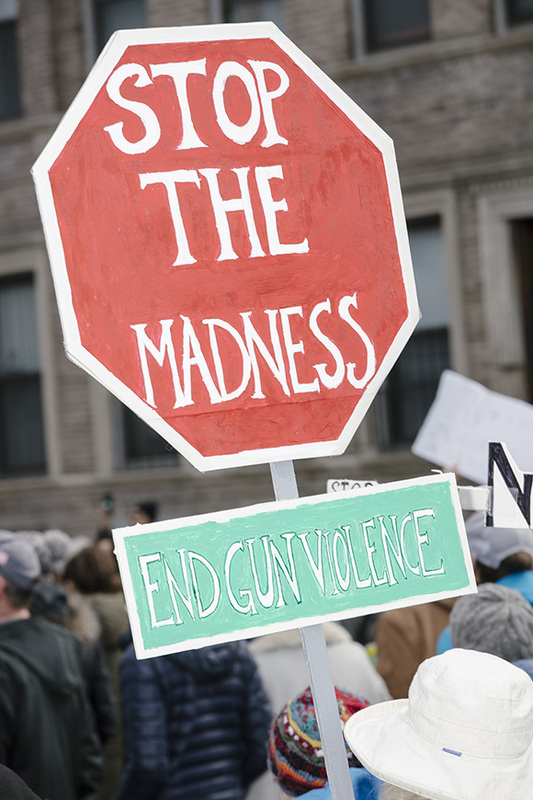 The student-led movement focused on recent school shootings, including that in Parkland, Florida. 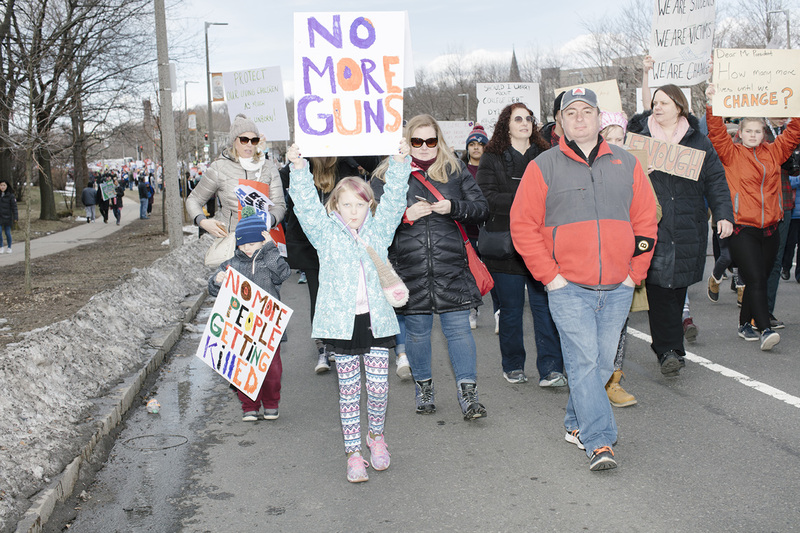 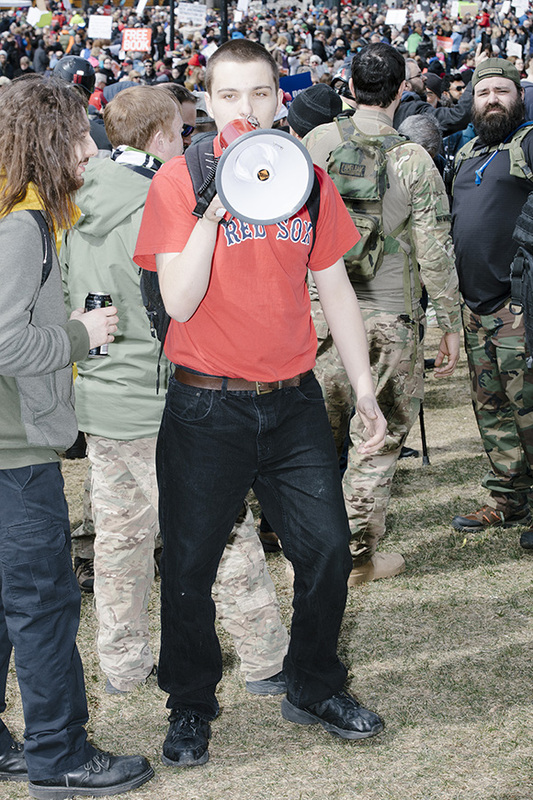 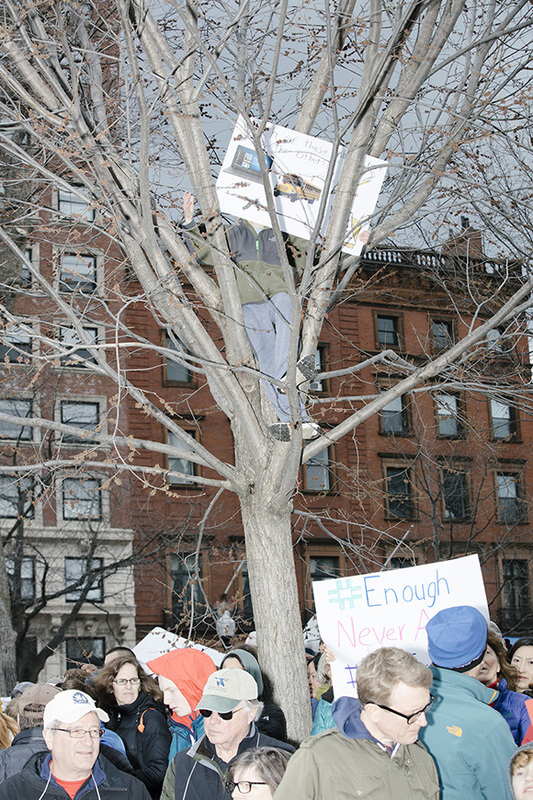 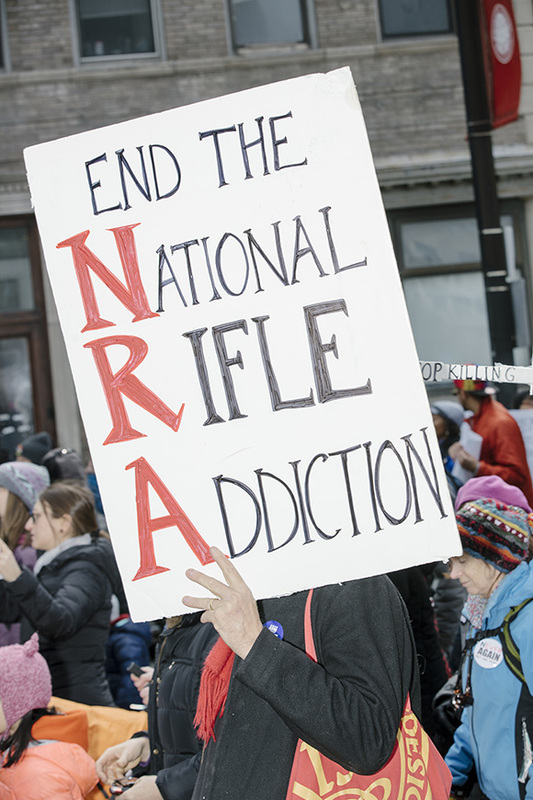 There was also a small contingent of pro-gun activists, dwarfed by those in favor of curbing access to guns, who were argumentative with the crowd (causing at least one woman to cry); they were eventually escorted out of the park by police.